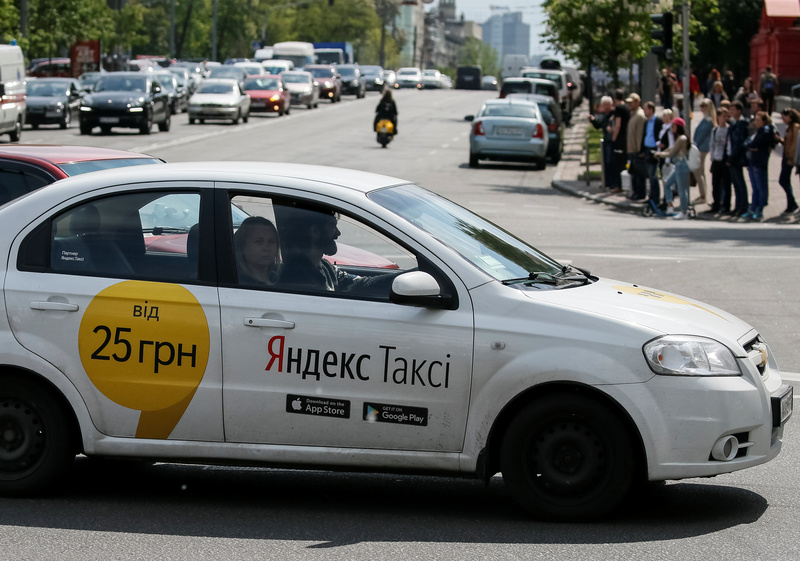 The ride-hailing service’s efforts to expand in eastern Europe didn’t have a chance at usurping Yandex – but it did make its rival’s losses balloon. Combining the businesses allows both to escape this trap, with a big paper profit for Uber. A Yandex taxi is seen in central Kiev, Ukraine, May 16, 2017. Russian technology group Yandex and U.S. ride-sharing app Uber will combine their car-hailing businesses in Russia, Kazakhstan, Azerbaijan, Armenia, Belarus and Georgia into a new company, they said on July 13. Uber will invest $225 million and Yandex $100 million in the new company. Following these investments, the new firm will be valued at $3.7 billion, of which 59.3 percent will be owned by Yandex, 36.6 percent by Uber, and 4.1 percent by employees. Yandex will consolidate the new company’s results in its financial statements. A year ago, Uber sold its Chinese business to Didi Chuxing, in exchange for a 17.5 percent stake in its rival. The paper value of its stake in Didi was valued at about $6.1 billion at the time of the deal. It is now worth around $8 billion based on a recent funding that valued Didi at $50 billion.